The best family friendly Halloween events in Florida. Florida’s history is ripe for scary Halloween stories. From tales of ghosts of Spanish soldiers standing guard at forts to pirates in search of treasure, there are plenty of opportunities for scares. But, what about family friendly events and attractions for Halloween? 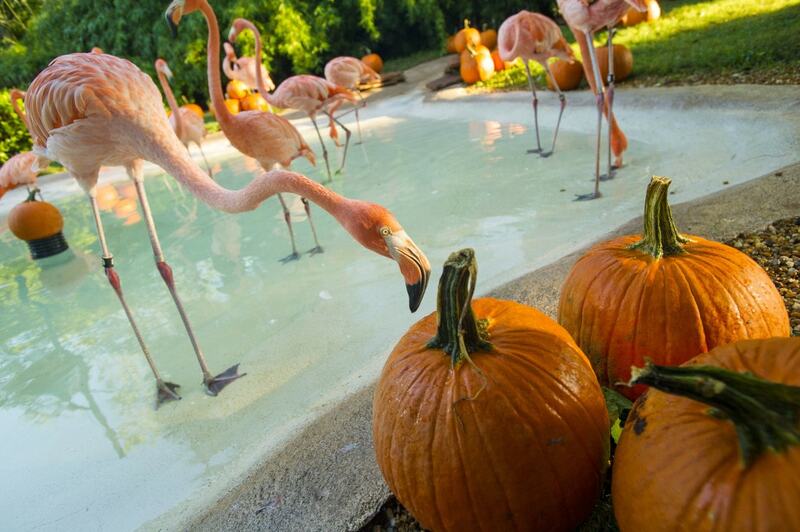 Especially in a state where flamingos play with pumpkins to welcome the first day of Fall? The Sunshine State has its share of fun non-scary attractions, from zoos to tame haunted houses. 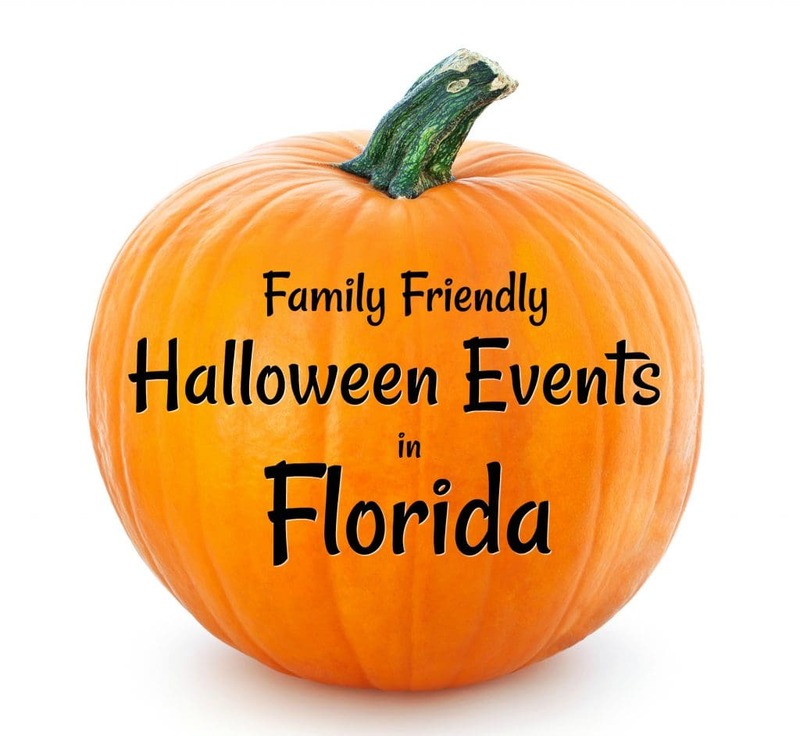 Here are some of the best family friendly Halloween events in Florida. Hudson’s Haunted Angelus Scream Park offers visitors about 20 acres of scary fun. While zombies and haunted hay rack rides can provide scares that could send chills up the spines of anyone, the park offers glow sticks for younger visitors so the staff knows to tone down their acts, providing families an opportunity to have a safe and fun experience. Located less than an hour north of Tampa Bay, the handicapped-accessible attraction benefits the Angelus House, which works with people diagnosed with cerebral palsy, Down’s Syndrome, Autism and other similar issues. In fact, it’s the World’s Largest Fully Handicap Accessible Haunted Attraction. Amazing Grace Crop Maze in Green Cove Springs provides kids of all ages an opportunity to explore a crop maze, haybale maze and search for the perfect jack-o-lantern in a pumpkin patch. In addition, children can “swim” in a crib of corn (we wish WE could do this! ), play on a jump pad, as well as check out the attractions in the playground. While leaving the frights out, the farm offers rides on a cow train and games such as corn hole and basketball. Amazing Grace also has farm animals, as well as duck races. Open weekends 5-10 p.m. Friday and 10 a.m.-10 p.m. Saturday, the attraction is open Oct. 5-27. Green Cove Springs is located southwest of Jacksonville, Florida. 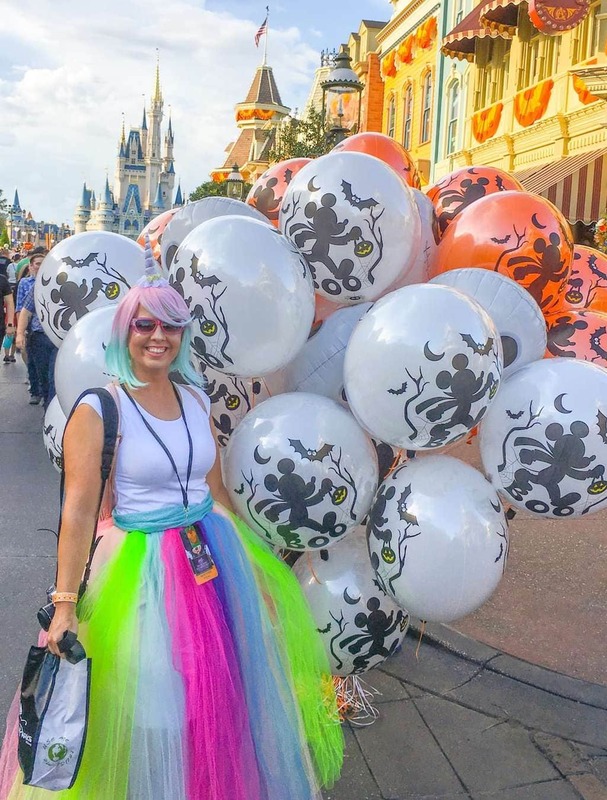 Walt Disney World’s Magic Kingdom is home to Mickey’s Not No Scary Halloween Party, offering 34 days and nights of child-safe frights and fun. This annual event is by far one of the best family friendly Halloween events in Florida! Beginning, Aug. 17, Mickey’s Halloween fun runs through Oct. 31 on select days, beginning at 7 p.m. after the park closes to the public. Fan favorites are available – “Hocus Pocus Spelltacular,” featuring the goofy sisters from the “Hocus Pocus” film, Mickey’s “Boo-to-You” parade and the ”HalloWishes” fireworks show, with the fireworks lighting up the sky above the Disney castle. Disney characters will roam the park greeting the visiting ghouls and goblins. And there’s lots of Disney Halloween merchandise (check out our Disney Halloween shopping video from a few years ago). Be sure to check Disney’s guidelines on wearing costumes to the park. SeaWorld Orlando celebrates the Halloween season Sept. 22-Oct. 28, 2018. Focused on providing a safe and fun experience for children, Halloween Spooktacular provides not-so-scary attractions and events. From fun stage shows to trick-or-treating, weekends are the place to be at SeaWorld. SeaWorld’s celebration includes Penelope’s Garden Party and a Halloween Dance Party. Young children can get their photo taken with mermaids at the Mermaid Grotto (an add-on price). Halloween comes to Coral Springs Oct. 26-27, 2018 when young goblins and ghouls are invited to participate in a family-friendly celebration. Hosted at the Coral Springs gymnasium, kids are encouraged to wear their costumes to Halloween Haunted House, as they weave their way through non-scary haunted classrooms. Bouncy houses and slides will be available for children to play on. Before heading home, kids can take part in trick-or-treating. Central Florida Zoo Boo Bash is a safe, fun and not-scary trick or treating event at the Central Florida Zoo and Botanical Gardens in Sanford. Included in general Zoo admission, there are specialty events just for Central Florida Zoo Boo Bash. Costumes are encouraged. This is a day event, so kiddos don’t need to enjoy Halloween events after dark. Dates for Central Florida Zoo Boo Bash are October 20-21 and October 27-28, 2018. Included in Legoland Florida theme park admission, kids can enjoy Brick or Treat in the family friendly theme park. Kids will have fun with LEGO toys, as well as specialty entertainment and lots of candy. Only children 12 and under are allowed to trick or treat. Family friendly shows such as The Groovin’ Graveyard are more fun than scary for kids. Don’t forget the special fireworks display for LEGOLAND Florida Brick or Treat, too! Get special photos with unique characters for LEGOLAND Florida Brick or Treat, such as a LEGO mummy, Frankenstein, Mad Scientist, Spider Lady and more. Unique LEGO models with a Halloween theme will be on display, such as the World’s Largest LEGO pumpkin. Specialty foods and shopping are also available. LEGOLAND Florida Brick or Treat is held on weekends in October and Halloween. LEGOLAND Florida is roughly halfway between Orlando and Tampa. 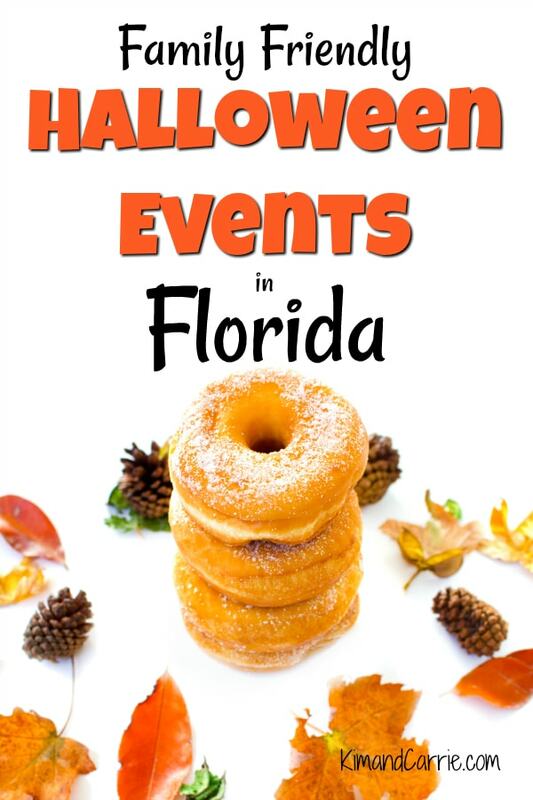 What are your favorite Family Friendly Halloween events in Florida?